This illustration is based on the Short-eared Owl. At certain times of the year they will roost together in groups, sometimes as large as a couple hundred owls. So here they are among the grassy tussocks as the sun sets. 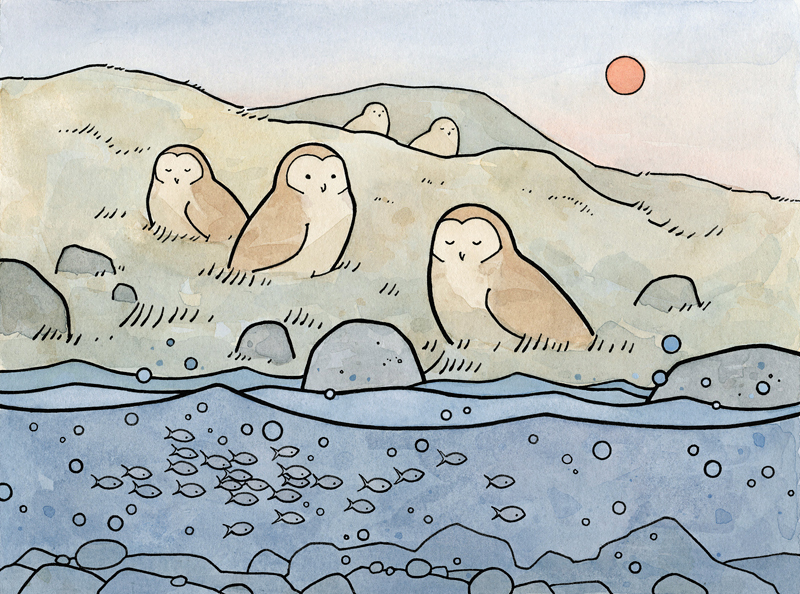 These owls are mostly diurnal, meaning they are active in the day, so I suppose they are just settling down to sleep.